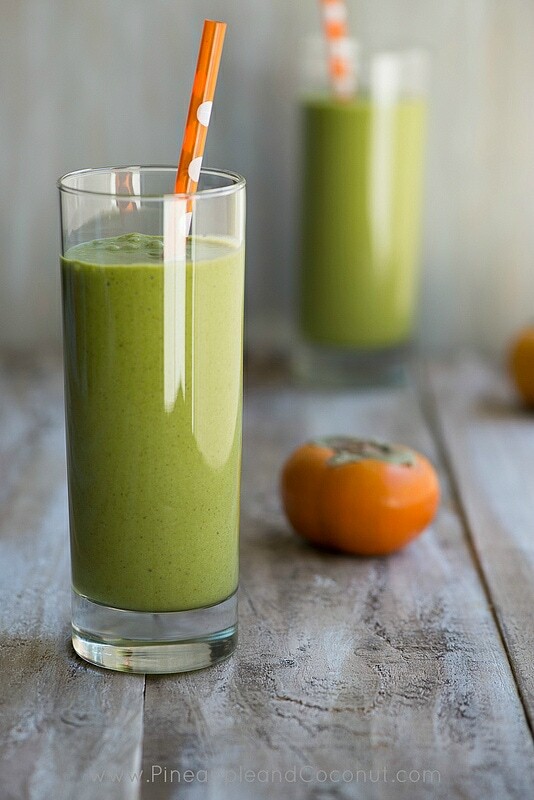 Persimmon and Medjool Date Green Monster Smoothie. 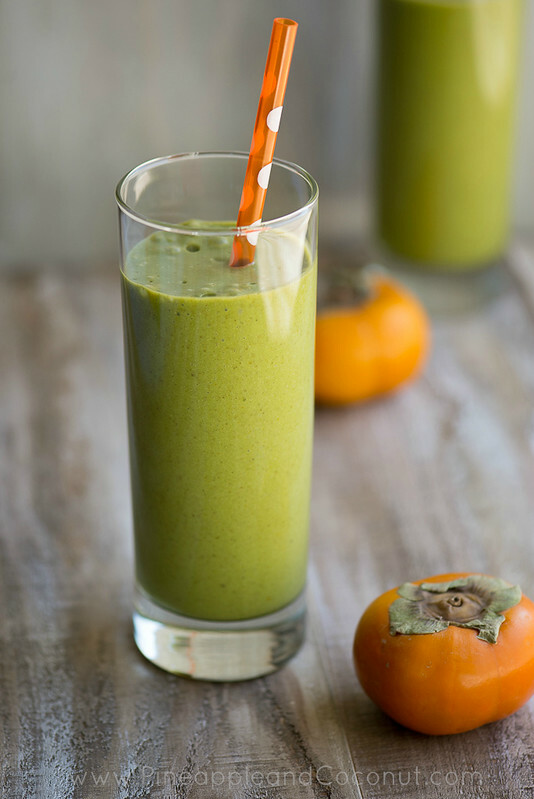 Its middle of October and here I am with one of my favorite smoothie recipes, with my favorite fall/winter fruits – the persimmon. So many people look forward to fall for pumpkin everything season and apple everything. 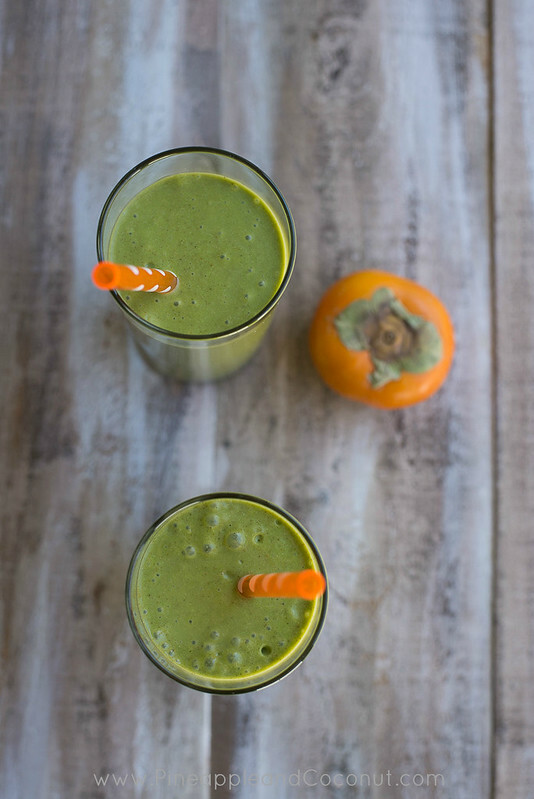 I look forward to more unique produce such as pomegranate and the fruit that is the star of this smoothie, the persimmon. There was a persimmon tree at my house when I was a kid and I have loved them since I was a kid. The ones in the picture are the same that we grew, Fuyu Persimmons. The other more commonly seen variety is the Hachiya. The fuyu can be eaten when its more firm, like the texture of an apple, or a bit softer. The Hachiya is eaten super soft as if it almost seems overripe its so squishy. They have a very distinct flavor. Sort of hard to describe since there is really nothing like it. My best description would be a cross between an apricot, mango, date, tomato and a hint of cinnamon. I have only ever eaten the Fuyu variety, I have read that the Hachiya is to be eaten when almost overripe for best flavor and can have a very off taste when eaten unripe. Think like eating a very green banana. 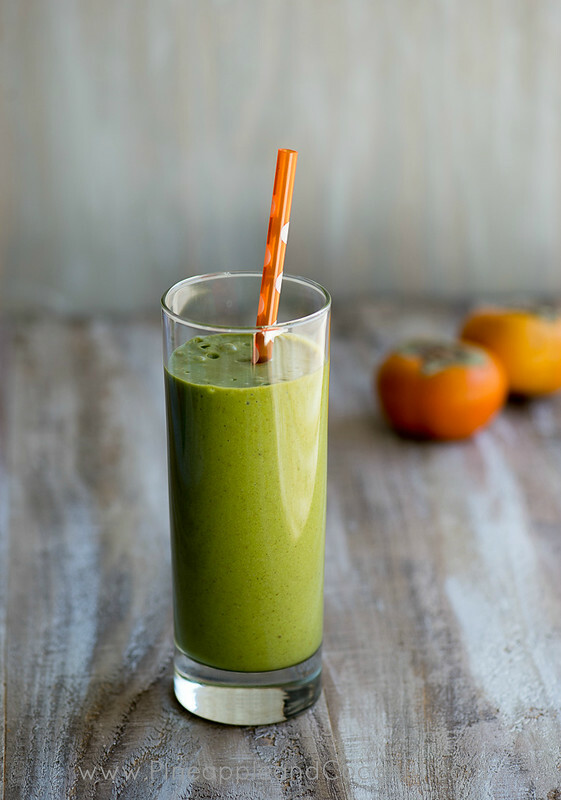 I also have to say don’t let the color of this smoothie make you turn and run as fast as you can away from it. 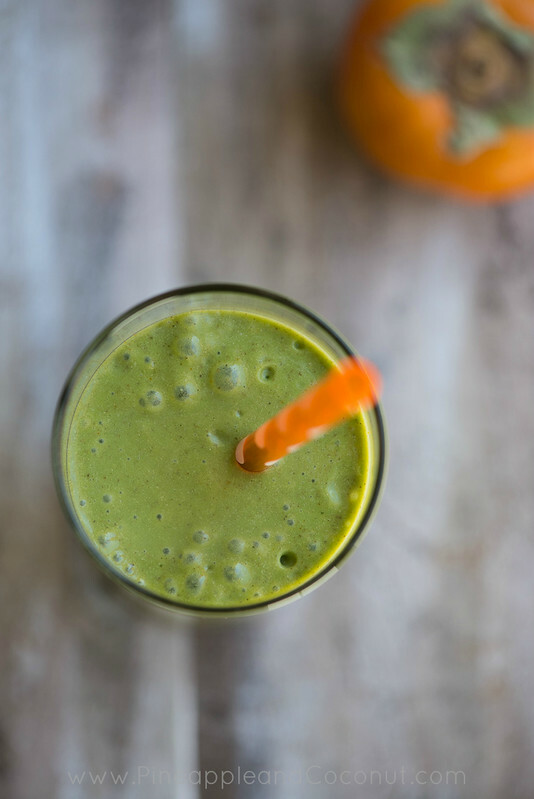 I am a huge fan of the ” Green Monster” smoothies. 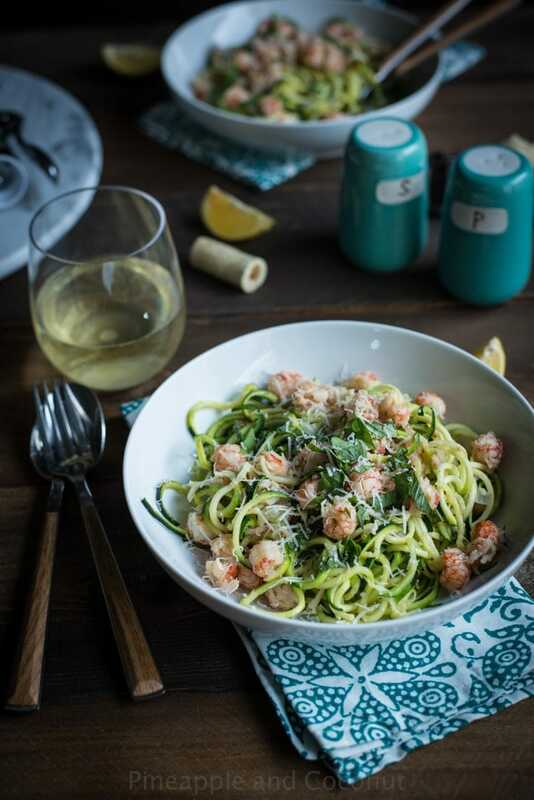 You literally can put anything you want in one and the green comes from anything from spinach to kale to whatever is green that suits your fancy. I prefer spinach over kale since it isn’t as strong of a flavor when raw. Healthy, tasty and a fun color! Place all in blender in order that is listed except the coconut oil. 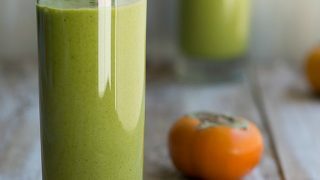 Blend well and stop blender to scrape down sides if needed. With blender on medium speed slowly pour in the coconut oil in a thin stream until well blended. 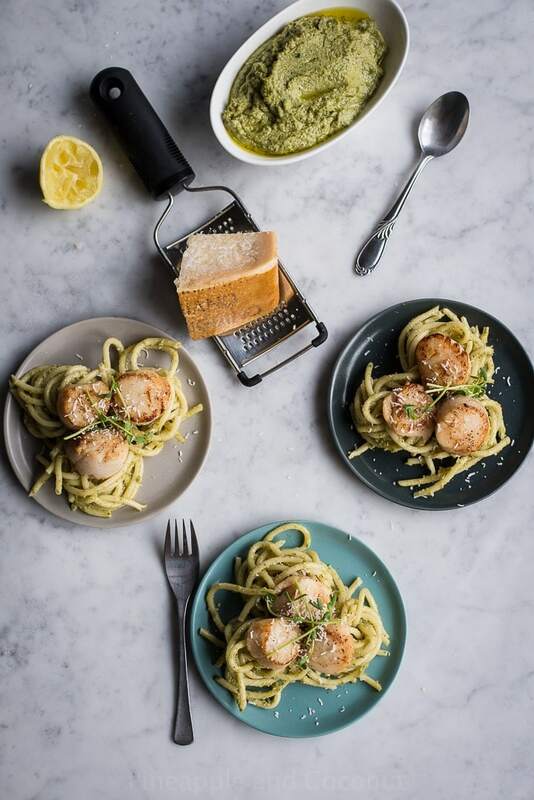 Pour into glasses and serve immediately. Enjoy! 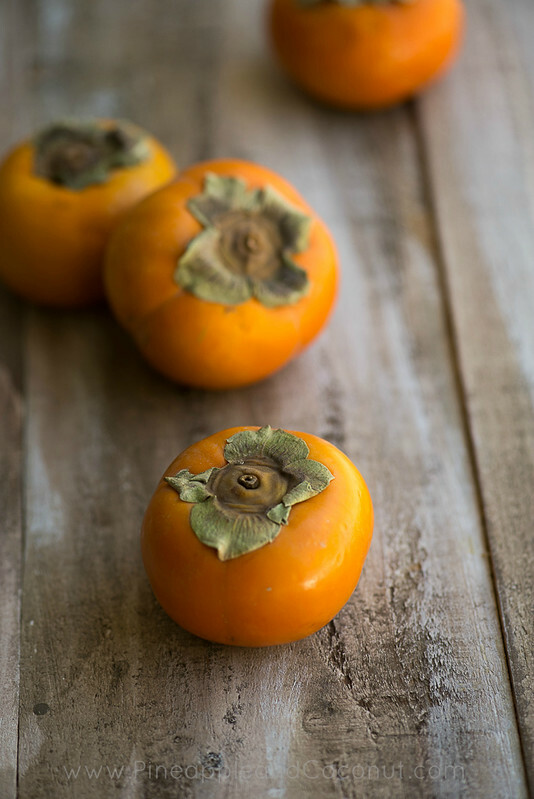 *Note: There are two common types of persimmon seen in stores. Fuyu and Hachiya. Fuyu are lighter in color and rounder, they are the ones I used in this recipe. They are firm in texture and crunchy like an apple. Hachiya are more heart shaped and darker orange. They are best when softer to the touch, think overripe tomato squisyness. Both are excellent.